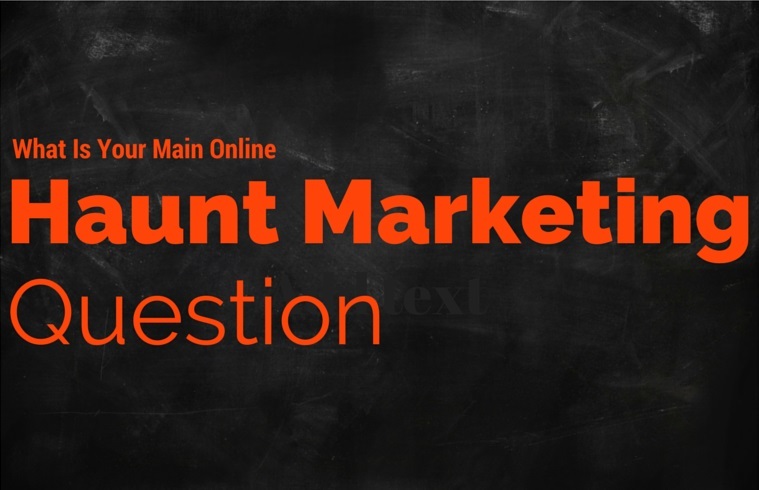 What is the one thing you want to know more about regarding online haunted house marketing? I spend my days performing online marketing for one of the most competitive industries out there. The legal industry if your wondering. So when August rolls around and we get to start planning and turning up our online haunted house marketing for the haunted house it is a giant relief for me since the haunt industry is so much easier and funner in many ways. We look to promote scares and fear which opens up so many creative options visually and the content used is just fun for a haunter. There are few places out there that have dozens of haunted houses in a small geographic area compared to the legal market so getting our haunted house to show up and be visible for every possible scenario out there is far easier. It does get tricky if your moving locations each year or have multiple locations but it is something I have been dealing with for years and we can do with some work in the haunt industry. Until recent years we had no competition for our haunt but the amount of work involved to do this and the need to explain to our staff in charge of it took some work. Now it is easy since we do some tasks on a year round basis such as social media and other tasks I have developed step by step processes for from working in the online marketing field on a daily basis. I am passionate about haunted houses and online marketing so its a thrill to get the opportunity once a year to combine the two with our haunt marketing efforts. Its also challenging because in order to get a business or haunt to show up in local search results requires a physical location and verification of that location which can be rough when you move locations. We have relocated 3 times in the 6 years so it requires a lot of work. You have to update the old locations to make sure no one shows up to the wrong location. You have to re-verify your location. In some cases you have to close down and start up new pages for certain sites. Along with that hours and days of operation change and need updated. This is just the beginning phases. There is Facebook, Twitter, Yelp and dozens of other sites to leverage not to mention new ones that are always popping up. Pinterest is a hot site these days as is Instagram. Then you got YouTube which is the worlds largest search tool currently. So leveraging all these different platforms to their full benefit takes some time and work and comes with successes and failures over the years. So now to the point. We would like to know what the one thing is you want to know about more for online marketing of your haunted house.